Anna Maria Luisa de’ Medici, only daughter of Cosimo III de’ Medici, Grand Duke of Tuscany, and wife of Johann Wilhelm II, Elector Palatine, died on February 18th, 1743, at the age of 75. Historical accounts describe it variously as a long, painful death, a sudden fever or an “oppression on the breast.” The culprit was long thought to have been the syphilis her husband infected her with shortly after their marriage, a disease which was also said to be the cause of their childlessness. Another possible candidate was breast cancer. Last October, the Electress Palatine was exhumed from her crypt in the Basilica of San Lorenzo as part of a collaborative research project by the University of Florence and the Reiss Engelhorn Museum in Mannheim, Germany. A tent was raised around her bones which remained in situ for a week while researchers took pictures and made a 3D scan of the skeleton. Two medallions were removed from the coffin for restoration and a sample of bone was taken for further laboratory analysis. The body was then reinterred. 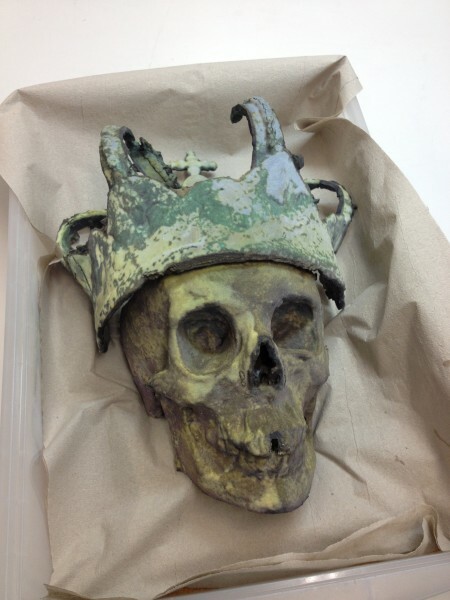 Because we live in an amazing era, the scans allowed the researchers to create an exact replica of the skeleton, including the crown she was still wearing, using a 3D printer. The bone sample and material recovered from a pot found in the coffin which is believed to have contained her entrails in keeping with a traditional Medici burial practice, are being DNA tested by biological anthropologist Albert Zink of the European Academy of Bolzano, who also worked on the team who sequenced the genome of Otzi the Iceman. Anna Maria Luisa’s skeleton “does not indicate late-stage syphilis, which is characterized by skull remodelling and bone outgrowth”, says Zink. But, he adds, it does not rule out earlier stages of the disease, which can in some cases result in organ failure and death. Anna Maria’s husband died in 1716 when he was 58 and she was 48. Any syphilis she may have contracted from him would have been very far advanced indeed by the time of her death. It’s not surprising that the tomb would be damp given that the 1966 flood of the Arno River that drenched Florence in as much as 22 feet of mud and water also swamped the Medici tombs in San Lorenzo. 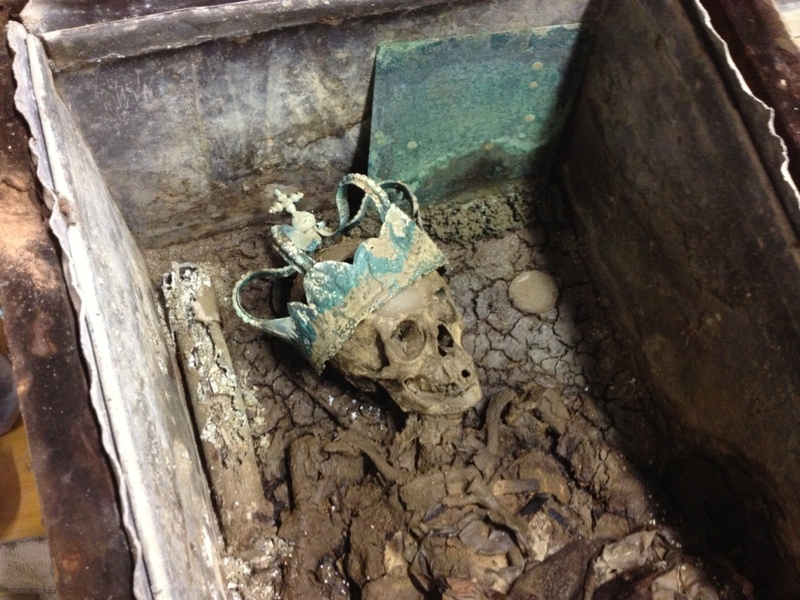 It is surprising that despite the flood, the Electress’ skeleton was found mainly intact and articulated. Scientists were also surprised to find that Anna Maria was buried with the crown of the Palatinate, not one of the Medici crowns. It’s a testament to the connection she felt to her title, which she used consistently until her death, and to her long-deceased husband. They reputedly had an amicable relationship, STDs or no STDs, and shared a passion for art and culture that made the court of the Palatinate a magnet for musicians, painters, architects. That passion for art led Anna Maria to the act that would define her legacy and that of her illustrious family in the city they had ruled for 300 years. As the last of the Medici, it was up to her to save the cultural patrimony of the city which was in mortal danger of dispersal. 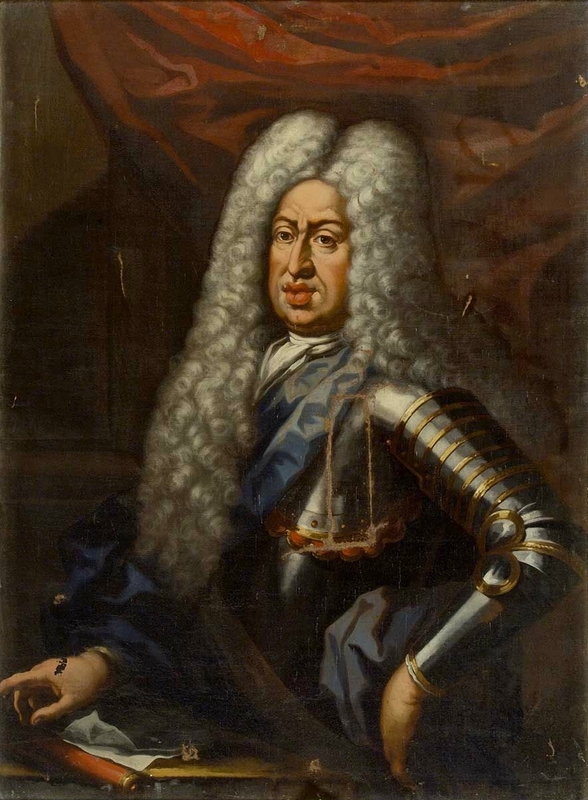 The question of the succession of the Grand Duchy had been her father Cosimo III’s obsession for years before his death in 1723. Anna Maria’s eldest brother Ferdinando died childless of syphilis in 1713. The youngest brother Gian Gastone hated his wife, generally preferred the company of his male favorites, and was unlikely to produce an heir. Seeing the writing on the wall, Cosimo was frantic to find a way to keep the Grand Duchy in Medici hands. It was technically a fiefdom of the Holy Roman Empire and Joseph I was keen to take control of it. To no avail, Cosimo tried to force Gian Gastone to get back together with his detested wife and impregnate her. By 1709, Cosimo was so desperate he made his brother Cardinal Francesco Maria de’ Medici renounce his vows and marry Eleanor of Gonzaga. Francesco Maria died childless in 1711. He then tried to reinstate the Republic of Tuscany which had died with the creation of the Grand Duchy in 1533. He actually got the Holy Roman Emperor to agree to the plan, but then he torpedoed the agreement by changing the terms so that Anna Maria would inherit the Grand Duchy first and the Republic reinstated only after her death. Charles VI was Holy Roman Emperor by this time, and when Cosimo promulgated a decree through the Tuscan senate that the Electress would inherit should Gian Gastone pre-decease her, Charles was furious. He felt that Cosimo was trying to abrogate his rights to determine succession. Cosimo was no longer given a say in the fate of the Grand Duchy after that. He tried to get the European powers to acknowledge Anna Maria as heir, but he failed. In the end, they determined that if Gian Gastone died childless, the Grand Duchy would go directly to the Austrian House of Lorraine. Anna Maria was out. She was not going to be ignored, however. She was still the heir to her younger brother’s allodial title, meaning all the property owned by the family independent of the fiefdom of the Grand Duchy. When Gian Gastone died of a variety of diseases in July 1737, Anna Maria inherited a bunch of cash, the Duchy of Urbino, the family regalia, the contents of many palaces and one of the greatest collections of art ever known to man. The Lorrainers immediately made it clear that they had zero respect for the Medici patrimony except insofar as it could be converted to ready cash. They auctioned off furniture from Medici palaces in the Palazzo Vecchio, melted down silver objects from the Pitti Palace for coin and threatened Anna Maria with physical harm if she didn’t turn over her internationally famous jewelry collection so they could sell the stones. Under this kind of pressure from the avaricious House of Lorraine, within a month of her brother’s death the formidable Anna Maria already had a draft drawn up of what would become known as the Family Pact. By the terms of this contract, the Medici possessions including “all furniture, effects and rarities” including “galleries, paintings, statues, libraries, jewels and other precious things such as holy relics” would be bequeathed to the new Grand Duke, Francis Stephen of Lorraine, husband of Maria Teresa of Austria and father of Marie Antoinette of France, and to his heirs only on condition that none of said possessions ever be removed from the capital and the Grand Duchy. They were to stay forever exactly where they were so they could “remain ornament of the state, for the use of the Public and to attract the curiosity of foreigners.” Grand Duke Francis Stephen agreed to the terms and the pact was signed in October 1737. By this act, Anna Maria single-handedly saved the immense cultural heritage of Florence from succumbing to the fate of other Italian ducal estates that had been absorbed by European Powers. Mantua, for instance, was stripped bare when the Gonzaga line died out in 1627. 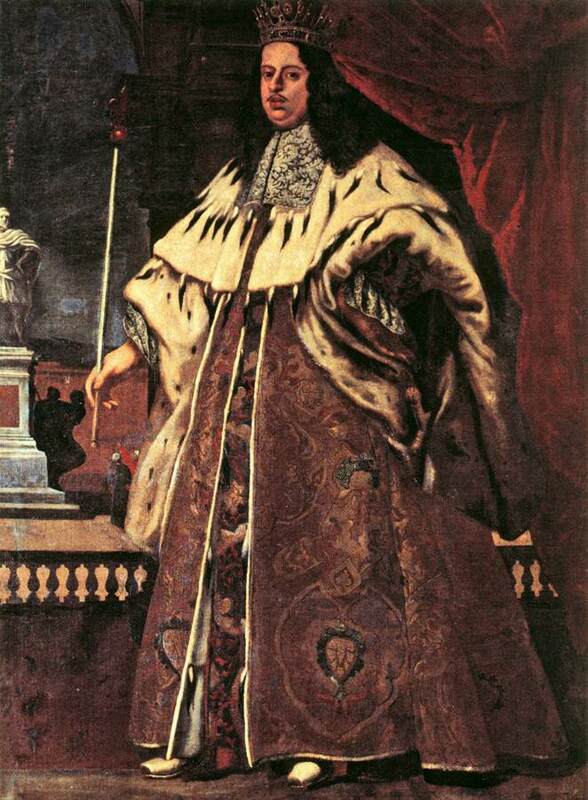 The Gonzaga art collection was sold in its entirety to Charles I of England, and what was left was taken by the Habsurgs when the last Grand Duke of the French Gonzaga branch died in 1708. 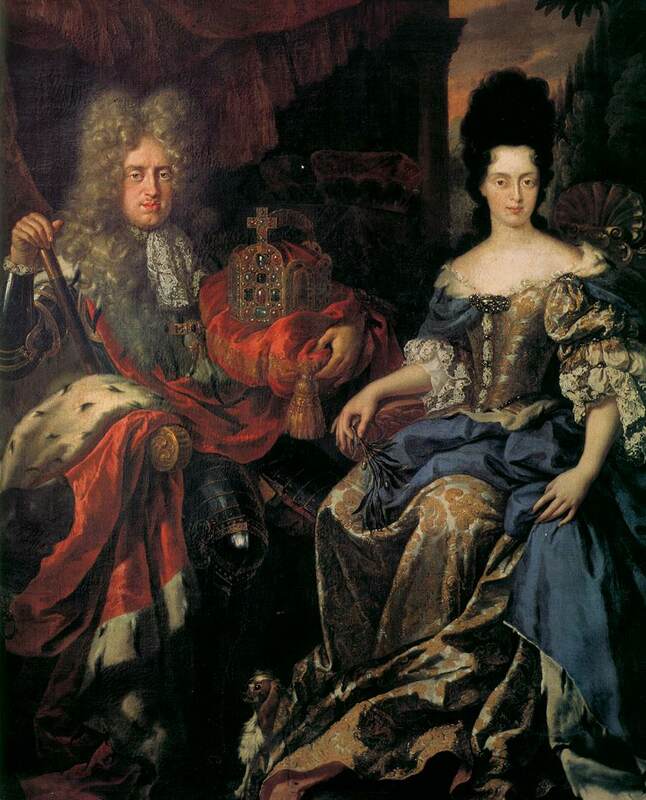 In 1731, the same fate befell the Duchy of Parma with the demise of the Farnese family. Three years after the death of the last Farnese duke, the ducal art collections were removed from the family palaces and shipped to the House of Bourbon rulers in Naples. This would surely have happened to Florence as well if not for Anna Maria’s badassness. The vast majority of what is now in the Uffizi Gallery, Pitti Palace, Palazzo Vecchio, the Laurenziana library, Magliabecchiana library, Palatine library, a large chunk of the Bargello and everything in the smaller suburban Medici villas would be gone. Florence as we know it today would not exist. Think of how prescient Anna Maria was to recognize the value of her family holdings to city tourism. Mantua and Parma are lovely towns rich in history, but there is no comparison between them and Florence when it comes to tourist appeal. People go to Italy just to see Florence, and it’s not because of ruins or monuments like with Rome because the city doesn’t have many of those. They go to see the art. That’s Anna Maria’s doing. Monday marks the 270th anniversary of her death. In her honor, Florence will hold celebrations of her life and legacy and Italy is releasing a stamp of a portrait of Anna Maria made by Antonio Franchi in the late 1600s and now in the Palazzo Pitti. The Reiss Engelhorn Museum is joining in the celebrations with a new exhibit dedicated to the Medici. The Medici – People, Power and Passion opens on February 17th and covers the family history from the founder Giovanni di Bicci until the Electress. She gets particular attention as the results of the exhumation study will be part of the exhibit. This entry was posted on Friday, February 15th, 2013 at 11:52 PM	and is filed under Modern(ish). You can follow any responses to this entry through the RSS 2.0 feed. You can skip to the end and leave a response. Pinging is currently not allowed. Age 75 in the 18th century? She was ancient! Think of how prescient Anna Maria was to recognize the value of her family holdings to city tourism. Just got back from Florence after 9 days on 03apr13. Rich in history and would have loved to see this article before traveling. Where might Anna Maria be as we visited museums. Thank you. Btw – how ironic, we are victims of Hurricane Sandy…. 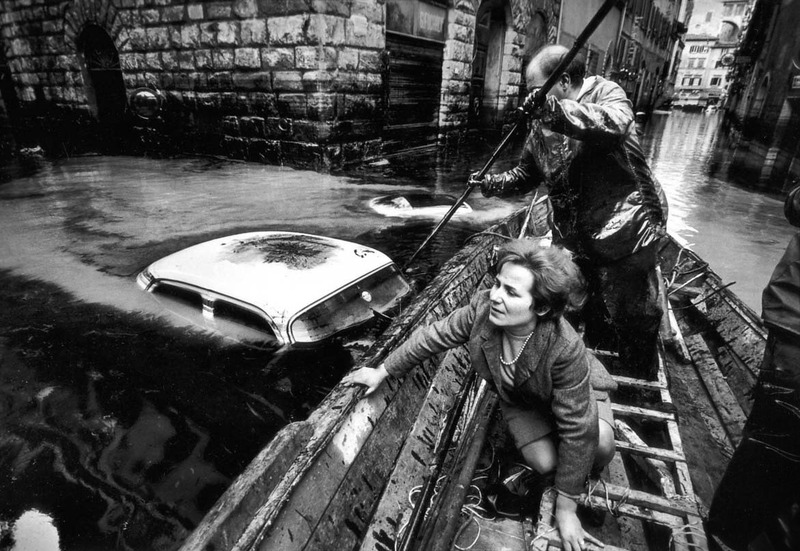 We’re not aware of Florence flood of 1960’s till 6 days into trip, How ironic, and how we can so relate. i am also a medici but I prefer to stay away from Florence.. So comical & irresponsible of journalists who perpetuate the lie there are no surviving descendants of the de’ Medici family. I’m living proof we haven’t died out. You missed the point of this post entirely, which is a particular shame given your claimed heritage. There are plenty of Medici descendants around today and there were plenty in the 18th century as well. In fact, Charles V stipulated that the Duchy of Tuscany was to be ruled by the Medici in perpetuity, and when Gian Gastone died, there was no shortage of male Medici relatives to select from. The ultimate winner, future Holy Roman Emperor Francis I, was himself descended from Catherine de’ Medici. What died out with Gian Gastone was the legitimate male line of the main branch, not every single Medici second cousin once removed. The family married and reproduced far too extensively for that to happen any time soon. Please email me, I may be able to help. I’m a medici myself. I visited the Uffizi, Florence, & the Tuscan region as I celebrated my 5 year survivorship of Breast Cancerthis week. Has anything been confirmed since the exumation regarding Anna Maria’s death as far as breast cancer? I felt very moved when our guide showed us the portrait and said she deceased from the disease. I just wanted to confirm.